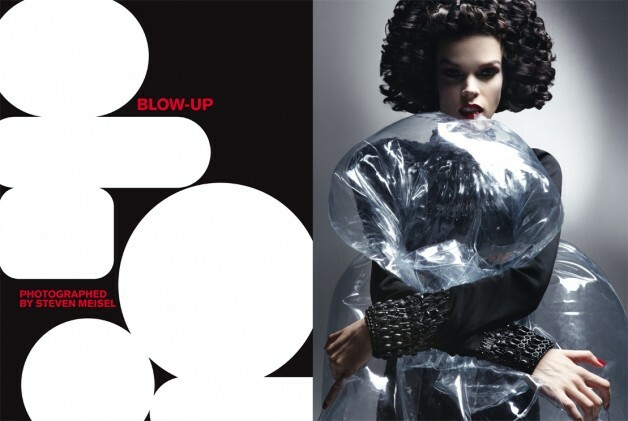 Exploring the symbolism of style, Steven Meisel uses the transparency of plastic to ‘see’ into the future of fashion in, ‘Blow-Up,’ for the October issue of Vogue Italia. 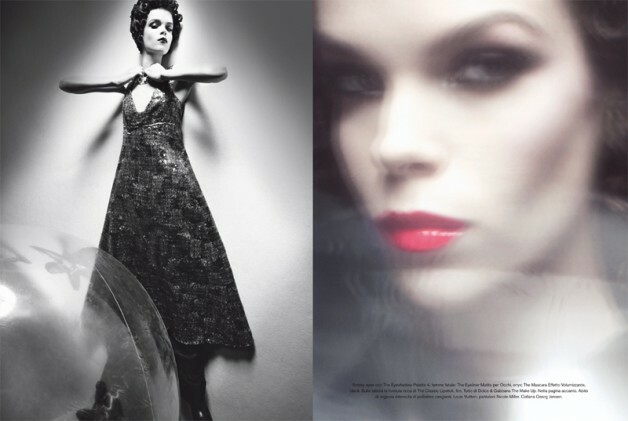 Meghan Collison plays the dark temptress, in a bevy of beautiful, black ensembles – highlighting the current trend of tone-on-tone color. Flirting with the concept of time/space, she floats through each frame, mixing modern-style clothing with vintage-inspired beauty. 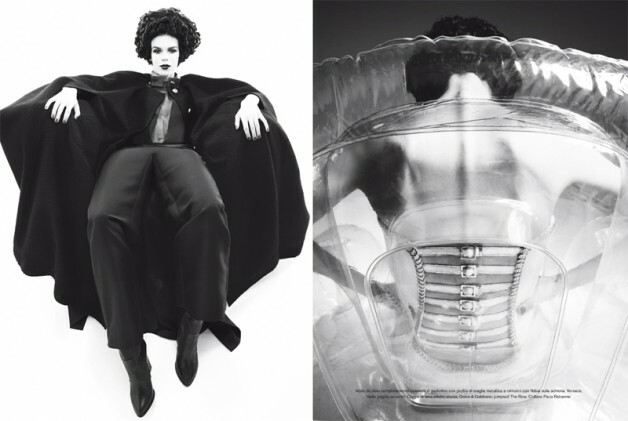 Reminding us that everything old is new again, Meisel’s gravity defying looks are an ode to the infinite nature of artistic design. Special effects create the illusion of forward flight, while the ‘blow-up’ pieces represent the natural forces of stability. Celebrating the history of creation and inspiration, this poetic gesture, is both a look into the future and a reflection of the past.